A fantastic workshop full of fun that will teach you everything you need to know to be able to read many kinds of divination cards or Oracle decks for your own use. It will also teach you some self development tools that will enhance your daily life. Learn how to prepare yourself, enhance your intuition, clear your deck, take care of your cards, tune into them properly and three methods of reading them. 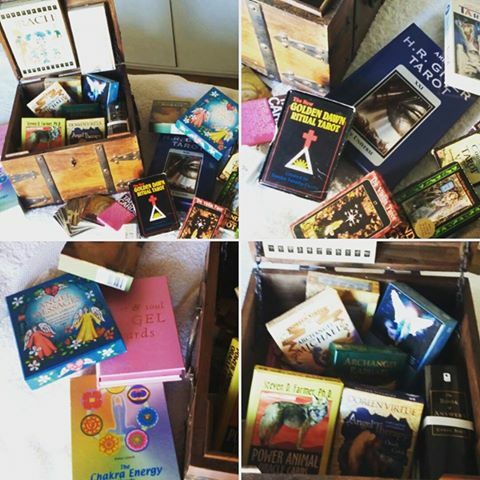 We use traditional Tarot, Angel cards, playing cards and assorted Oracle decks in the workshop and you will have a chance to try them all. The workshop begins with a lesson in relaxation and a mini meditation and visualisation. You will learn how to relax, breathe and visualise your requests. You’ll learn how to best phrase your questions, how to be specific and how to be in the right frame of mind and how to put yourself in a peaceful state, ready to read. The techniques taught are incredibly useful in everyday life to simply relax and de-stress even when not used with card readings. Learn about the importance of intention and positivity as well as interpreting subliminal signals and signs from your own body whilst reading. This will increase your self awareness and mindfulness skills too. 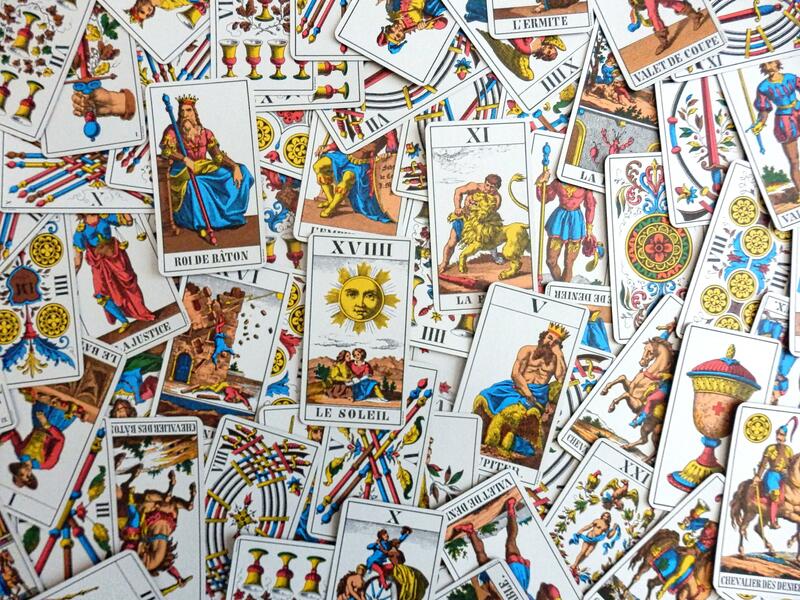 The three methods taught are the oldest, traditional methods of Cartomancy, used by readers around the world. 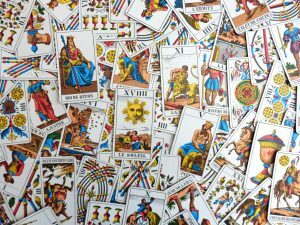 They are simple, clear and precise and you do not need to learn the meaning of hundreds of cards to be able to read them. By the end of the workshop you will be fully able to sit down quietly and read your deck for yourself quite easily. Workshops can be booked to order either based at The Retreat or at a venue of your choice if you would like to host one for a group of friends. It makes a great ‘girls night in’ and blends quite well with wine! It has even been used as a corporate event for staff bonding and Birthday events. It also makes a useful addition to other Holistic therapies and skills. For on site workshops further away a higher minimum number of people may be required.